Check out my guys! An Elf King (aka Vaarsuvius from Order of the Stick–don’t ask because I haven’t a clue) and the sweetest and bravest little royal knight in the kingdom. Last minute handmade costumes, of course. 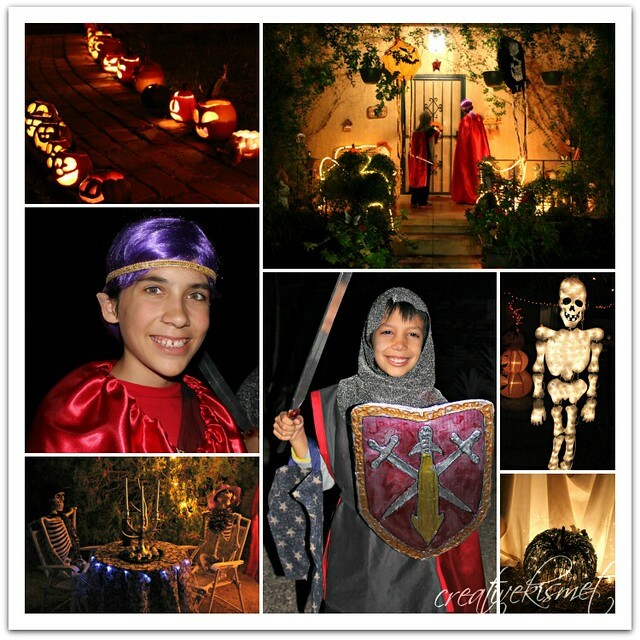 I think kids with handmade costume should get extra candy to share with their mothers. Extra Almond Joys please!! I thought for sure my oldest would abandon us this year, but he insisted on hanging with us despite the multiple invites to other more exciting events. I don’t know…teen boys are strange and mysterious. We had a great time romping about the neighborhood and then diving into large quantities of candy. Thank goodness Halloween only happens once a year! 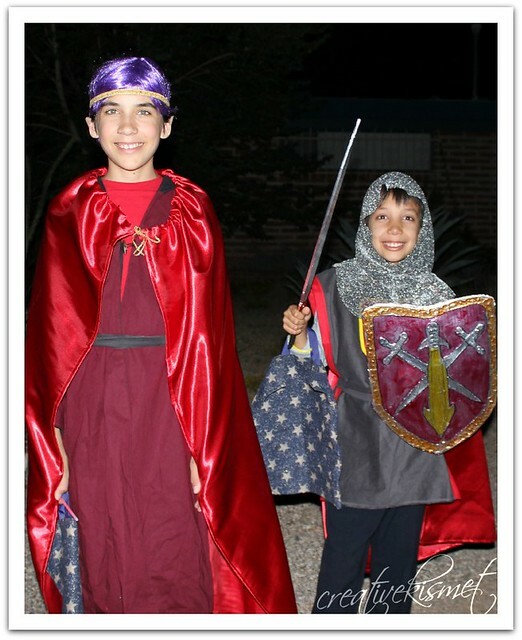 This entry was posted in Family Life, Fun kid stuff, Spooky. Bookmark the permalink. I don’t like Halloween much as I don’t understand the point of it. However those are great costumes. Love the fabrics and the shield. They look brilliant all dressed up. Very chivalrous! They don’t look last minute either. you never cease to amaze me with your creativity Regina.